Calling all fisherman!!! 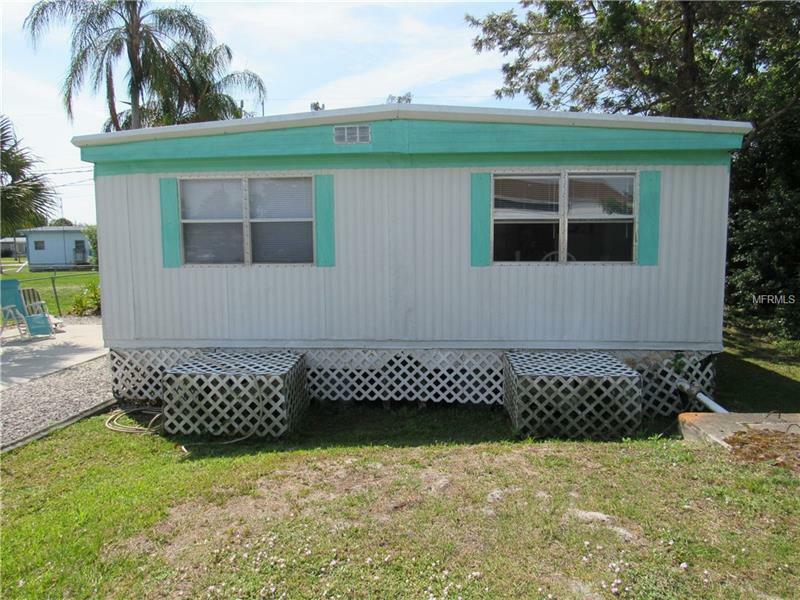 This FURNISHED 3 bedroom 2 bath mobile home in the laid back waterfront community of El Jobean is PERFECT as a fishing & boating getaway for fishing buddies and bird watchers. Plenty of room for your boat & trailer in the 75ft driveway; store all your fishing gear in the shed that conveys with the property. And when you don't feel like pulling the boat, just grab a pole and WALK 5 minutes to the Myakka River and drop a line in. This community has just about EVERYTHING within a 5 minute walk!! !, including the bait shop, convenience store, gas, the marina, food, drinks & live entertainment right across the street at the "Bean", fire & EMT station, and plenty of "Old Florida" charm & history to read about at the original El Jobean Post Office/Jail!! El Jobean is a one of a kind hidden gem that will transform you out of today and back to yester-years. Great little rental, part-time retreat, or year-round residence.